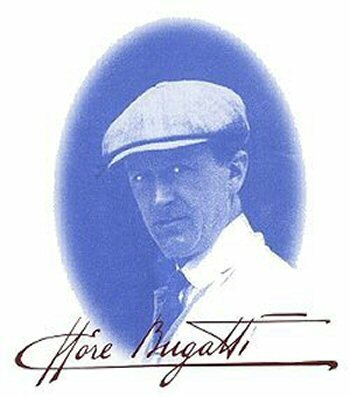 It provides a fresh and fascinating look into Ettore Bugatti, brilliant creator of the automobile considered by the motoring world to be one of its greatest jewels. 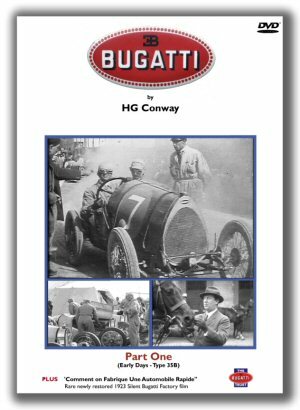 Part one of the definitive story by the internationally acknowledged authority and acclaimed author HG (Hugh) Conway was intended as the ultimate introduction to Ettore Bugatti and his extraordinary automotive creations illustrated with the largest collection of rare archive film. The original programme took three years to make and was published shortly before his death in 1989. This updated version has been digitally re-mastered for DVD and includes a wealth of new archive footage and material that has come to light since the original production. Please click here to download the Bugatti DVD order form.